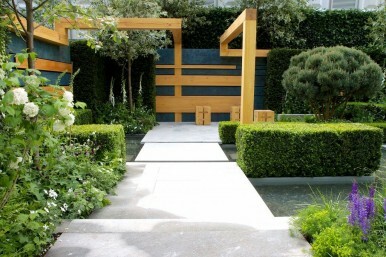 Our Chelsea Flower Show garden build of The Extending Space for Auderset and Fischer, won a Silver Gilt medal at the Chelsea Flower Show 2014 . See the Auderset and Fischer website for more information on the concept behind their garden. This garden involved timber-work, paving and planting, all created within the famously tight Chelsea timescales.The garden was a huge success as you can see from the images below, and was widely appreciated. If you like the look of this garden why not get in touch and ask us what we can do for you.